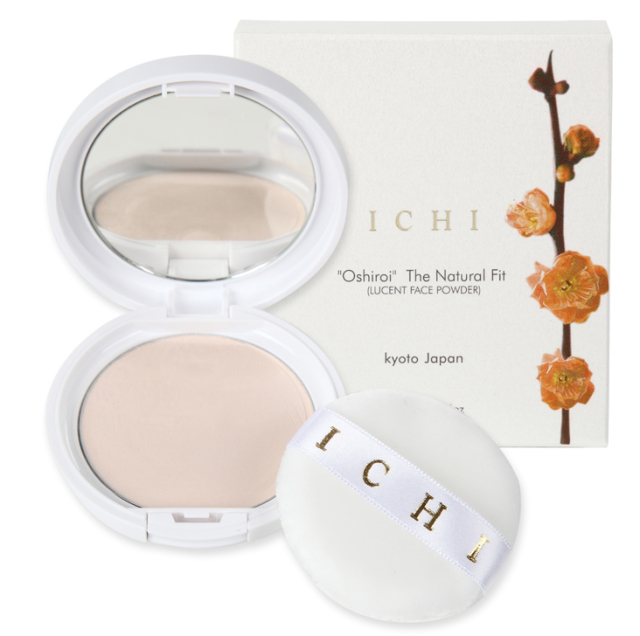 ICHI Oshiroi (loose powder in Japanese) Lucent Face Powder is loose finishing powder that controls shine and conceals blemishes and pores As are all other ICHI products, it does not contain artificial fragrances, mineral oil or artificial colorings and is PABA free. The powder contains silk, which is rich in amino acid, and squalane to keep the skin hydrated and smooth throughout the day. © 2019 ICHI international Inc.